I joined the staff at First Baptist in May 2008 as the Business Administrator of our school and church ministries. 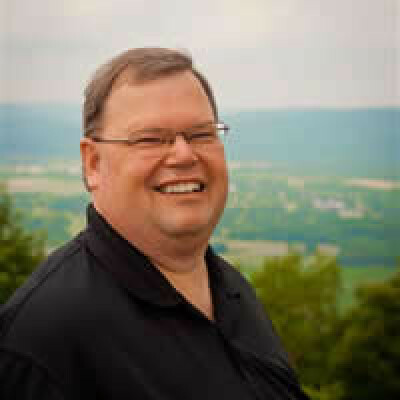 I graduated from Allegany Community College in Maryland in 1985 with a degree in Data Processing (computer programming). I returned to the Horseheads area in 1986 and have been a member of FBC since that time. I worked for Avery Dennison Corp. (formerly PAXAR) in Sayre PA for 20 years in various positions including supervisory, estimating , planning and Buyer. As the Business administrator, I have oversight to our financial and facilities operations and the budgetary process as well as human resource matters. I met my wife Carol here at FBC as she was (and still is) a teacher in our Horseheads Christian School ministry. We were married October 8, 1988 and have two children, Andrea who is pursuing music in college and Jonathan who is in high school. Mechanic in a four wheel drive specialty shop. Sense and Sensibility, Fireproof & Courageous, Avengers. It’s where FBC is and it’s a great area to raise a family. Tractor pulling and monster trucks. Even though He knew we would crucify His Son he sent Him to earth anyway. Cape May, New Jersey – Love the beach! !